A hard-boiled pop-culture sensation re-created for comics.<br />In L.A., there's one man you want behind the wheel. Just tell him where and when. He doesn't take part, doesn't know anyone, doesn't carry a weapon. 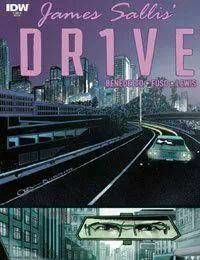 He drives, and he's the best.<br />Ride along as James Sallis' lean nü-noir masterpiece unfolds onto the sun-bleached streets of Los Angeles in this exciting 4-part comic book adaptation.